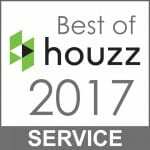 We are celebrating a lot of good news, including the Best of Houzz Customer Service badge and hearing that Hobbs Germany was honored in the European Product Design Award! 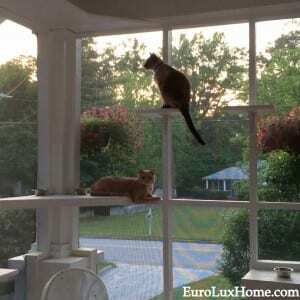 Plus, our vintage home with its cat patio was featured in Houzz editorial. This month truly has been the cat’s pajamas! The big news is that the new Hobbs Germany collection won an Honorable Mention in the European Product Design Award 2016. We’re thrilled to be U.S. distributors – congratulations to the brilliant designer David Hobbs! 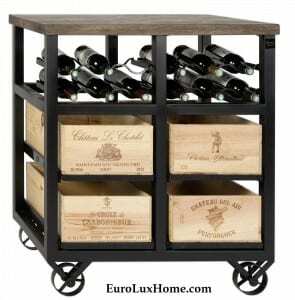 See the full Hobbs Germany collection with unique and beautifully crafted cabinets, tables, wine bars and kitchen islands with drawers made from genuine wine crates from French Bordeaux wineries. You can also read more about this gorgeous wine-inspired furniture in my blog post here. It’s a delight to know that Houzz customers are still giving us such a great thumbs up! 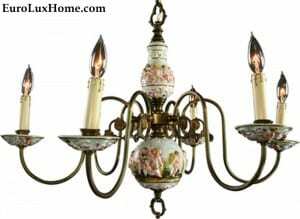 You can browse all our Houzz listings here and of course the same items are also for sale in our own EuroLuxHome.com website. Finally we (and our entire family of furry friends) were delighted to see that cats rule! There was an article about cat patios or catios on Houzz and our own cat patio or porch was included in the catio article. If you want to see our original blog post about the catio when we built it in our vintage 1920s bungalow, that description of our cat patio with photos is here. It has only been a few weeks since we heard that Feedspot selected our Letters From EuroLux antiques blog as one of the Top 30 Antique Blogs on the web. We were very happy with that news, and now we have so much more good news, we hope you understand why Greg and I are grinning from ear to ear! 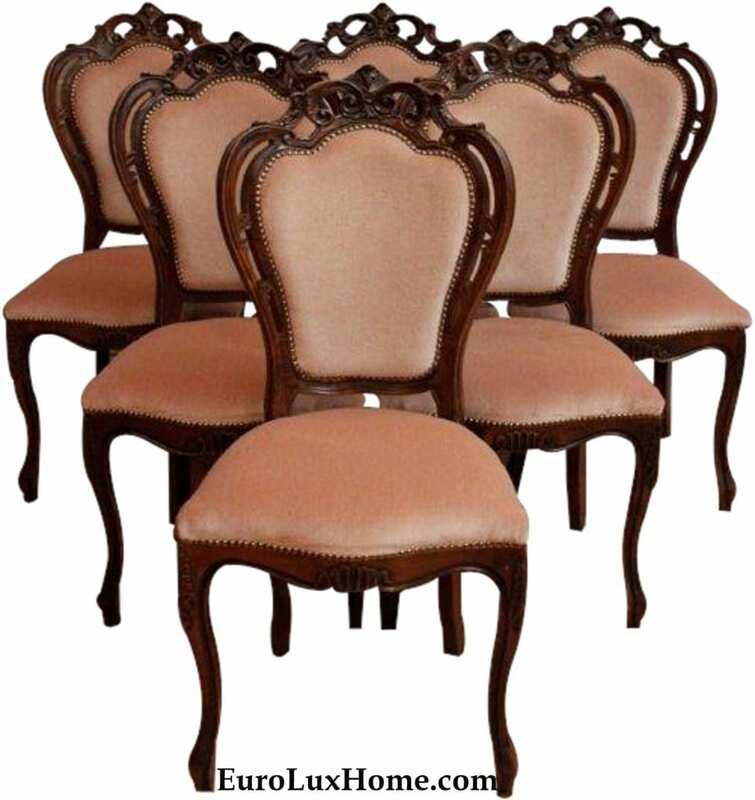 Between the good news, we are here to serve you so you can find beautiful antique French furniture, high-quality new furniture with hand-crafted details, and stunning home decor. 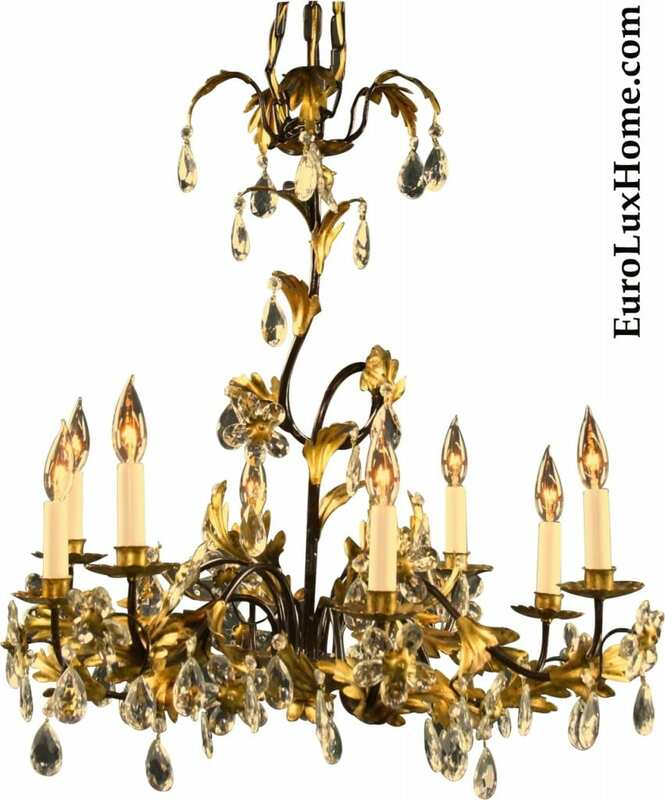 Browse our EuroLuxHome.com website and feel welcome to let us know if you are looking for something special… we’ll do everything we can to help! This entry was posted in News and tagged EuroLux Home, Hobbs Germany, Houzz on March 28, 2017 by admin. Recently I told you that many big paint companies have declared purple to be important for home decor this year, in my post: Paint Color Decor Trends 2017: Purple Reigns! Those purplish hues are subtle but they still aren’t for everyone. If you’re looking for more inspiring colors, these are the other major paint company color trends for 2017. The focus here is on neutral taupe and gray, warmed up with a delicious honey glow! 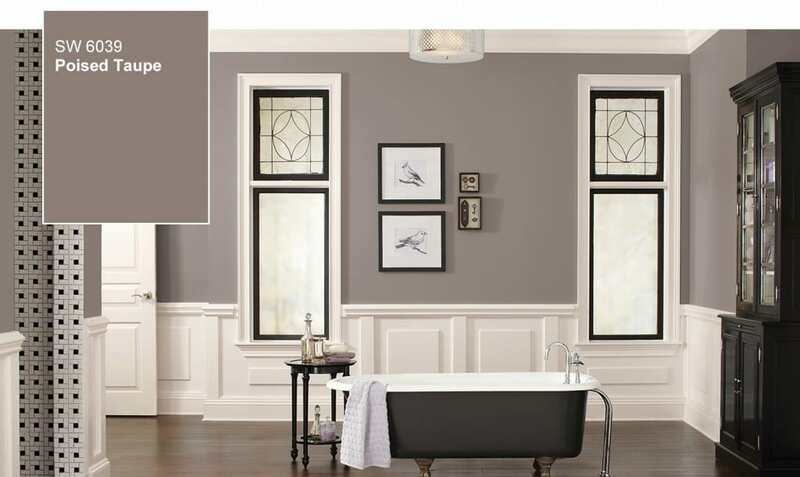 Sherwin-Williams named Poised Taupe SW 6039 as the color to define 2017. They like the warm and calming taupe because it “creates a cozy lifestyle and brings a sense of sanctuary into our homes.” They also mention the beauty found in “lived-in” homes. Homes that “are allowed to age gracefully and show the wear and tear of everyday life. Every scratch, crack and mark records a story, a memory.” Greg and I agree with that. 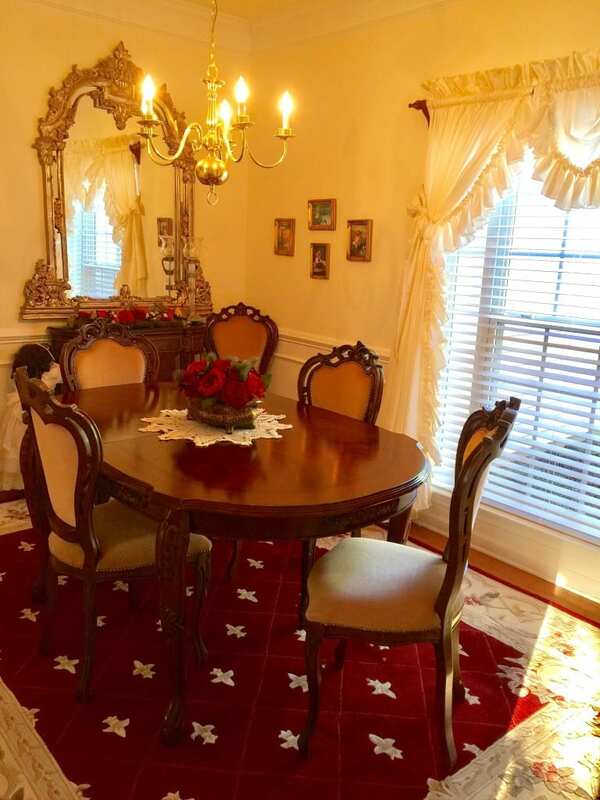 We have the same feeling about our french antique furniture, where each piece has been loved for a long time before we buy it and ship it to the USA to sell to our customers. Each piece tells a story. 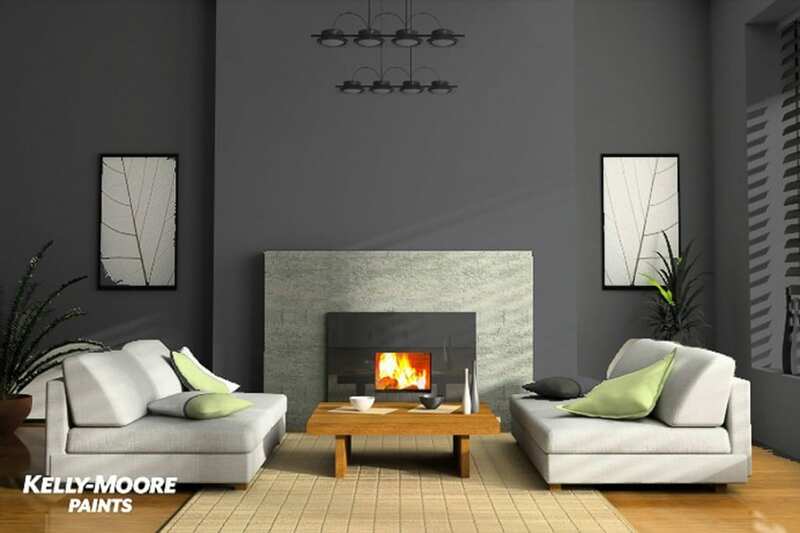 Kelly-Moore Paints chose this sophisticated gray called Kettleman as the company’s 2017 paint color of the year. Although this photo shows it in a contemporary decor room, I can imagine this easily in a traditional library where it would look classically masculine, like those Old English rooms that we see in historical dramas. Just pop a traditional leather sofa or chair in the room and an antique-inspired desk and it would be very cozy! I can also see Kettleman paint working with vintage Hollywood Regency style decor. A bit of silver chrome and shiny surfaces like mirrored furniture would create dramatic glamour! We’d love to hear from you in the comments box. What do you think of the home decor paint colors for 2017? 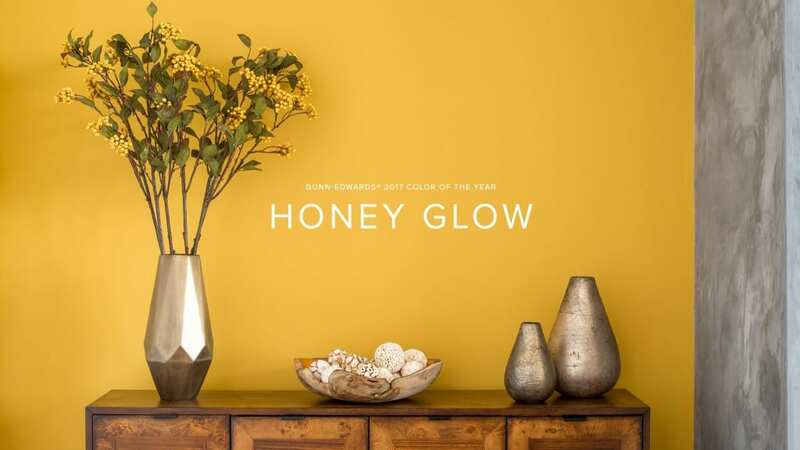 This entry was posted in Home Design Ideas and tagged color palette, color trends, creative home decorating, design inspiration, gray decor, interior decor, interior design, neutral colors, neutrals, paint color, yellow on March 14, 2017 by admin.